Luxury Locations Antigua is an award-winning boutique real estate and villa rental company, dedicated to providing every client with the best and most professional brokerage services available. Launched in May 2009 Luxury Locations holds the mandate to provide potential clients a different avenue when acquiring luxury real estate in Antigua, by spending quality time with each client is a focus with Luxury Locations. The greatest effort to communicate valuable information instills client confidence and has proven to be a key tool that establishes the all-important relationship, with vendors and buyers, alike. Luxury Locations offers vendors the most up-to-date marketing partnership with many specialist real estate companies throughout the Caribbean, UK, USA and Canada. Whether it is your first time seeking real estate in Antigua, or you have been here many times before, let Luxury Locations remove any stress and take care of you and your real estate needs. 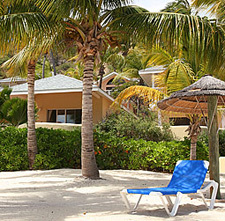 Visit LuxuryLocations.com to review the largest selection of sale and rental listings. Owner of Luxury Locations, Nadia Malla and her team are ready for you. Email her at nadia@luxurylocations.com or drop by the office conveniently located in Jolly Harbour. For more information about real estate in Antigua, read their Sellers’s Guide, Buyer’s Guide, Wordpress Blog, Facebook page, Instagram, YouTube Channel and follow their tweets on Twitter. Inspiring. Passionate. Exclusive. Luxury locations. Click here to download the lifestyle and property bi-annual magazine and video blog of great restaurants, tours and property.